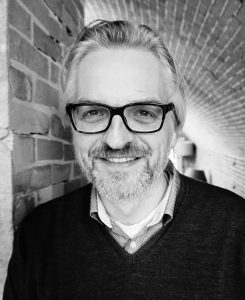 Marc Heijdeman has been in media for over 25 years in various roles and responsibilities. He graduated from Emerson College (Boston), which is the only private university exclusively dedicated to communications and media. His experience is as diverse as working for 20th Century Fox and Paramount Pictures in Los Angeles and Berlin, producing multiple award-winning TV productions and feature films, organizing live TV events with global satellite broadcasting, development and execution of over 50 different DVD concepts for the retail around the world, creating newspaper/fund-raising concepts like for WWF, developing early concepts and implementation of Interactive TV and VOD services for clients like KPN, UPC, Tele2, Deutsche Telecom and Vodafone. Create DVD giveaway premiums for clients around the world. He ran an international retail/web-shop as general manager which gave a unique experience of combining the knowledge of the physical retail with the INTERNET experience with a 600% increase in web sales in one year. He has lived and worked for longer periods in the USA, Germany and France. The international media experience is truly global and diverse.